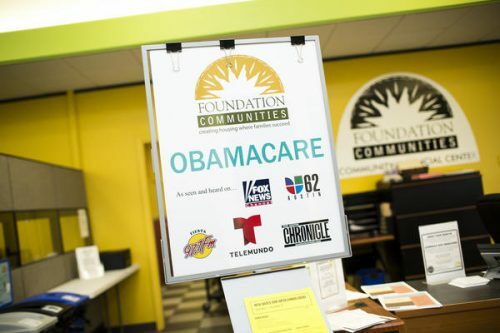 Almost the same number of Texans who signed up for health insurance through the Affordable Care Act (ACA) during the last enrollment period signed up this time, according to the federal government. The figure took experts by surprise because there were federal cuts in funding for outreach and assistance, via KUT News. According to figures from the Center for Medicare and Medicaid Services (CMS), as of Dec. 23, 1,126,838 people signed up for plans in Texas. The previous year, 1,227,290 Texans bought insurance through the online marketplace created by the ACA, also known as Obamacare. “I am not at all ashamed to admit that I was surprised to see the numbers come out as good as they did,” says Melissa McChesney, a policy analyst with the Center for Public Policy Priorities. McChesney says her expectations had been lower because there were more challenges to open enrollment than in years past. For example, there were deep cuts in the federal advertising budget and cuts to outreach and enrollment efforts across the country. In Texas, people had half the time to sign up. “In the end, the way that the law is structured, it shows that it’s really resilient,” she says. The fact that enrollment numbers didn’t take a huge dip this year, McChesney says, is also a testament to advocacy groups that took on the work of getting the word out and helping people sign up. Among those groups is Foundation Communities. Elizabeth Colvin, director of the group’s Insure Central Texas program, says the Austin area outperformed the last enrollment period. “It was a community effort that makes this successful,” she says. Colvin also credits help from community groups like Central Health, which she says ran a successful outreach and assistance program. But ultimately, Colvin says, the success of enrollment this period shows there is still a need for an individual marketplace for health insurance. That’s especially true in the Austin area, she says, where members of the gig economy – i.e., musicians and tech-startup employees – make up a significant part of the workforce. “I think our numbers speak for themselves in terms of the need,” Colvin says. McChesney says the final enrollment numbers, which come out in March, could show even more signups. The current numbers from CMS don’t show the final eight days that were allotted to folks living in counties affected Hurricane Harvey. People in those counties were given extra time to sign up for a plan. This entry was posted in KRTS News, KXWT News and tagged affordable care act, texas. Bookmark the permalink.